So as far as I can tell here, he’d stopped doing CPEs (continuing professional ed) for 15 years…and he has the audacity to claim it was an oversight? Who does he think he’s kidding? If this truly is the case, then he a a flat out liar. I’ve taught CPEs to accountants for 10 years, everyone knows what you have to do to maintain licensure. Again, he appears to just be a plain old liar. Hey Julie, speaking of accountants, why not look into the $200 MILLION scheme your boss at world (Kevin Martin) was connected tp – the HomeGold fraud that saw some of his colleagues land in jail. It that you really Doug Bartholomew of Naples FL checking in??? James MacDonald’s new sugar daddy? I’m not hiding my identity, Doug. Here I am, that’s my name. Personally, I think you’re gutless. Does this mean you ARE supporting James right now and want to divert attention by calling someone a troll? Hey Doug Bartholomew..If you think Julie Roy’s is afraid of calling out Her Bosses it shows how bias and uninformed you are… Julie lost her Job of 7 years on Moody radio FOR CALLING OUT HER BOSS…Julie is one Christian that no one can say isn’t contending for the Faith, She has more spine than almost ALL of the so called Leadership in the “Evangelical Industrial Complex”…you remind me of a little kid who gets caught with his hand in the cookie jar and his only defences is “Jonny did it to”…..a real lame arguement. What is she lying about in this particular story???? Too bad you don’t have enough spine to tell us which allegations are false. She sure as thunder has a good bit more spine than Doug Bartholomew. Doug and others, we need to stop the name calling and seek the truth. Doug note that Julie is a freelance writer and contributes articles to various periodicals, one being World magazine. She is not on staff, thus Kevin is not her boss. If you are in contact with James MacDonald, please have him come forth and tell his side of the story. He can defend himself against these allegations. His silence and decision to stay hidden is contrary to his preaching and public persona. Let this story ends, then she can focus her energy on other deceit in the church as you have requested. Tim your right, I apologize . Doug, I’m a freelance journalist. I don’t work for WORLD. Hey everybody! Baaaaaaaad ! Is that the voice of a nasty ungodly,WORLDLY human I hear? Not gooooooooood ! Ruuuuuuuun! Deception and no Godly spirit there Ruuuuuun ! No fruit there ! Ruuuuuun! Before you get some on you, yuuuuuuck! Hey Doug….were waiting…..what is Julie lying about in this story??? Looks like your just another blowhard who likes to throw false diversions to muddy the water and cover the truth…Reminds me of a tall bald pastor I know. Doug’s just a hit-and-run coward who throws a broad and vague accusation (“she reports false allegations as she does regularly”) and then runs and hides. Commonplace, boring. He also apparently gets his facts wrong, thinking Julie works for World. But of course, we don’t expect good research, solid ethics or clear thought, do we? When you throw a completely broad accusation like that (“false allegations…regularly”) it’s a clear indication that you don’t know of any false allegations. You’re just trying to smear. Trust me, if he had any dirt on Julie, could recite any lies she’s told, he’d have typed those words out here so fast we’d have all seen them. The difference between Doug and Julie is Julie has a spine, she names names and gives facts, if she’s wrong, it’s put there for everyone to discredit. That takes a little courage. But when you’re gutless, spineless, a little coward, you take a vague shot and then run–and you don’t even try to support it because you know you have nothing. That’s Doug Bartholomew. Hey, Bartholomew, Exactly what about MacDonald impresses you so much that you would rent your church out to him for only ten dollars a month? How naive are you? Just as he insults people from his own church behind their back, he must be laughing his bald head off at you and your wife for being his latest two suckers. Ron, maybe Doug was promised a cut of the gate when Harvest Naples takes off….under the table of course….thats how “Professional Christians” usually operate. O.k Doug Bartholomew….I’ll make this a little easier for ya…..what has Julie published about your good buddy Jmac that’s not true???? and has she not reached out to Jmac so that she could publish his side of the story …but Jmac, the Man with the spine of linguini is no where to be found probably hiding out somewhere in south Florida…probably at your house…James McDonald could learn a thing or two about how to “Act like Men” From Julie Roys, she tells the truth and admits when she’s wrong….unlike Jmac and his merry band of puppets. There are rumors that the big incident from HCA video which you spoke about in world magazine has since been destroyed. But how can that be if you claimed to have seen the video? If you have a copy of that video will you be releasing it? Please do. This is very important. I had seen the one that’s currently being circulated on Twitter though. Thank you for responding Julie. I remembered where I heard that you had seen a video. In this interview at 14:10 you say that you’d seen some of the video. Is the video on Twitter the one you are referring to? It’s unfortunate we don’t have the main incident on film. at 14:10 in this podcast, you reference that you’ve seen part of the video. Is the clip on twitter the one you are referencing? Doug Bartholomew said: “At least I don’t hide my identity as witless trolls like you do”. I seem to recall a recent, but now defunct blog called “ElephanTitus” where the pseudonym of “Mr. Titus” was used. Wasn’t that you, hiding your identity while defending James MacDonald? Just pointing out that your insults toward people who chose to use nicknames is hilariously hypocritical. 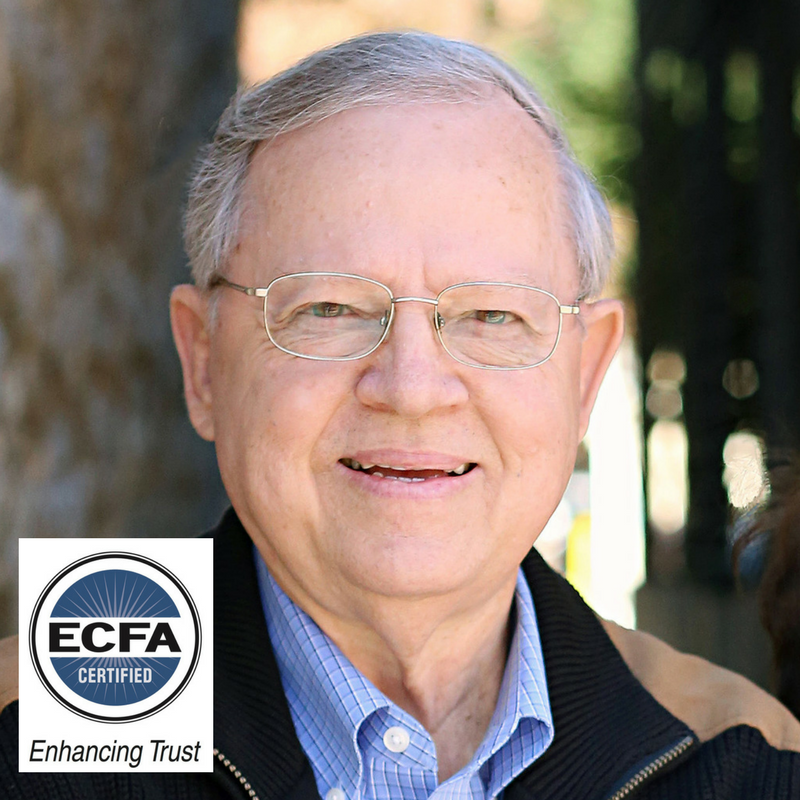 ECFA’s accreditation is worthless and they need to be investigated. I trusted in their certification for decades and now feel robbed and deceived.